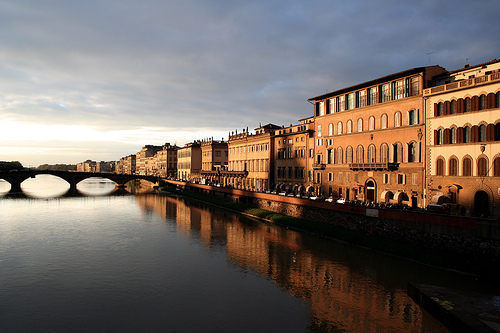 As the birthplace the Renaissance and a UNESCO World Heritage makes Florence an overall great contemporary destination for any world traveller, Florence is the soul of Italy. While there isn’t enough time in a day to list all the reasons you should go for holidays to Florence, there are a few things that every self respecting visitor of the great Tuscan city should try and do. The listed things to do below are great ways to spend a day in Florence if it’s just a quick stop over (a tragic shame), on a budget or just looking to keep your day simple and low key. Florence isn’t the most stressful city to begin with, but if you want to avoid the lines of the museums and feel like being a wee bit spontaneous, these are the activities for you. Contrary to what you may think bout Michelangelo’s famous sculpture of David, the only one you will see is not in the museum for which you either have to wait in line for hours to see or book a reservation. Also, note that if you see a statue of David in the middle of a piazza and completely green, this is not the original and it is not in the process of being stolen. There are quite a few David replicas scattered throughout the city and half the fun is try to find as many as you can. One thing Florence is famous for is its leather craft and you can see it first hand being made in any number of spots across the city. From cathedrals where the tradition is a closely guarded secret to the street merchants who sell it to tourists, the leather goods seem to be everywhere. It’s free to look, so wander into the shops and compare prices – you may see the same bag in five different shops for five different prices. Of particular note is the shop directly across from Dante’s church where you can find many one of a kind wallets and purses and the owner is a stand up chap. Florence’s Duomo is something else, looking more like a 3-D puzzle than what you normally associate with a church, but it is nonetheless. There are free walking tours going on every so often in a variety of languages (English most often) and you can find out tidbits about the construction and history about the building. Of particular note is the painting on the dome of the cathedral – a terrifying site to be sure. If you want to climb to the top for a fantastic view, you have to enter from outside and pay a few Euros, which depending on how many cathedral’s you’ve climbed, may or may not be worth it. Hands down the most memorable part of any trip to Florence is watching the day’s last light dip below the horizon and paint the city an array of breathtaking colours. Piazzele Michelangelo is a must-see destination for all travellers, regardless of how tired you are or if you buy a bottle of vino to toast the end to a fabulous day. Plus, to those keeping score on the Davids, there’s one at the top. Don’t be surprised if you come back here every night if you spend more than a day in the gem that is Florence.